I spent the next few hours devouring Mimi Sheraton’s lovely book (The Bialy Eaters: the story of a Bread and a Lost World), by turns saddened by the loss of a bread culture and gladdened by those bakers who remember and pay homage to its memory. There’s so much history wrapped up in these little loaves that it’s easy to overlook the obvious – these things taste fabulous! So here you go: my take on a historical bialy recipe. I’ve treated the bialy more like a small pizza and less like an unboiled bagel, but the topping is very much like the one provided in the book – thanks, Ms. Sheraton. 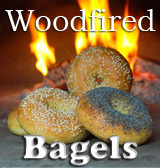 And I’ve added one further twist: these bialys are woodfired. Mix all dough ingredients in a large bread bowl. Turn out onto a lightly floured surface and knead for 10 minutes until very smooth and elastic. Return to the bowl, cover and let rise for about 3 hours at room temperature. Punch down, invert and let rise a further 1½ to 2 hours until doubled in volume. Finely chop the sweet onion, and mix it with the salt and bread crumbs in a small bowl. Cover with plastic wrap and let sit for at least 4 hours. The salt in the mix will ‘cook’ the onion so that it exudes moisture and matures in flavor. Turn the dough out onto a work surface, and form it into a snake, turning the long edge in on itself to stretch the skin. Using the pinky edge of your hand, saw the dough into short rounds of about 3 ounces each. You could cut the dough with a scraper or knife, but with this method you will end up with a smoother rim. Tuck the sides of each baby bialy under and stretch the tops into mounds. Arrange the bialys on two floured wooden peels or lightly oiled cookie sheets, cover loosely with a cloth and let sit for 30 minutes. Using your thumb or the bottom of a small glass, depress the middle only of each bialy until it is about 1/8 inch thick. Be careful not to press so hard that you glue the bialys to the wooden peel, and make sure before you continue that they ‘slip’. Brush the top of the outer bulge of each bialy with a thin coating of the eggwhite wash. Scoop a teaspoon of the onion mixture into the middle depression, smear some up the inner sides and sprinkle a little over the tops if you like. 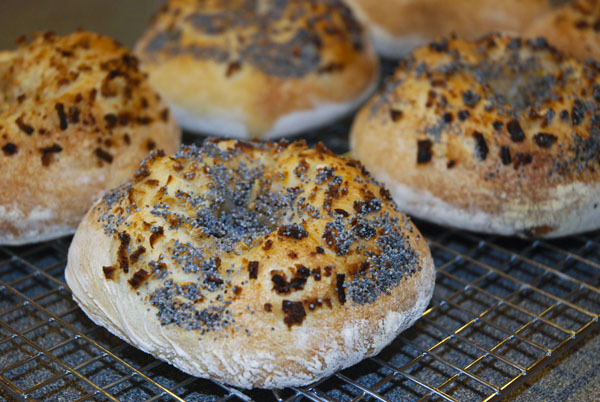 Finish each bialy with ½ teaspoon of poppy seeds. Your fire should be at least 1½ hours old; the carbon on the inner sides should show a slight amount of whitening. Put a 3 inch thick log and a handful of kindling on the fire about 20 minutes before the bialys are ready, and push the fire to the back. Brush the floor clean. Bake five bialys at a time in a semicircle around the coals. Turn the bialys once after 4 minutes. They will be baked in about 8 minutes total. For best results, place a pizza stone or quarry tiles on the center rack. Preheat oven to 400º for a half hour. Bake 5 bialys at a time, either directly on the stone or in the cookie sheet on the stone. The bialys will be ready in 10 to 12 minutes, depending on your oven. This is awesome. Absolutely awesome. Nice! I’ve never heard or seen these breads before. So jealous that you have a woodfired oven! Every time I see one of your posts I am so jealous of your wood-fired oven! I would love to have one. I have taken a few pizza classes at King Arthur Flour in Vermont and they had a fantastic oven. What city are you in and can you use it year round? Anyway…I like this post a lot. Bread is such a fascinating subject, not to mention delicious. I once had dreams of becoming a baker after culinary school but the hours scared me away. 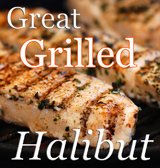 I love hearing about the historical recipes you’ve done. I guess most are where bread is concerned.